Advocates of legalizing medical marijuana in Nebraska have abandoned a petition drive to put the measure on the November ballot, saying they lacked time and money. The petition effort surfaced after a bill legalizing medical cannabis failed in the legislature in April. Now advocates of MMJ legalization will have to wait at least a year – or perhaps another three years – for any new law, the Lincoln Star Journal reported. 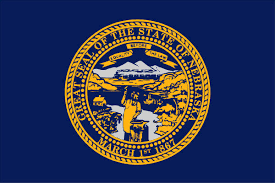 The legalization bill faced opposition from Nebraska Gov. Gov. Ricketts and Attorney General Doug Peterson. It would have allowed MMJ in pill, oil or liquid form. The number of authorized centers dispensing the medicine would have been limited to one per congressional district. The legislation died after legalization advocates failed to muster enough votes to end a filibuster blocking the measure. State Sen. Tommy Garrett, who pushed the bill, estimated a petition drive would have cost $700,000 to $1 million. “It required so darn much money to get something on the ballot,” he told the newspaper. Garrett added that any legalization bill next year will be an uphill struggle. Nine senators who support legalization must depart the legislature because of term limits and several others face re-election. Only one opponent must leave.